To become board certified you must first complete an American Dental Association (ADA) Accredited Graduate Program of Orthodontists. A doctor becomes board certified by voluntarily applying for the examination process of the American Board of Orthodontist. In this examination the doctor must demonstrate continued proficiency and excellence in orthodontics. There are two parts to the examination. First there is a written examination that covers all orthodontic areas. Secondly there is a clinical examination where the doctor must present treated cases in which are evaluated by orthodontic experts. After written and clinical exams are passed, a certificate is awarded to the orthodontist. 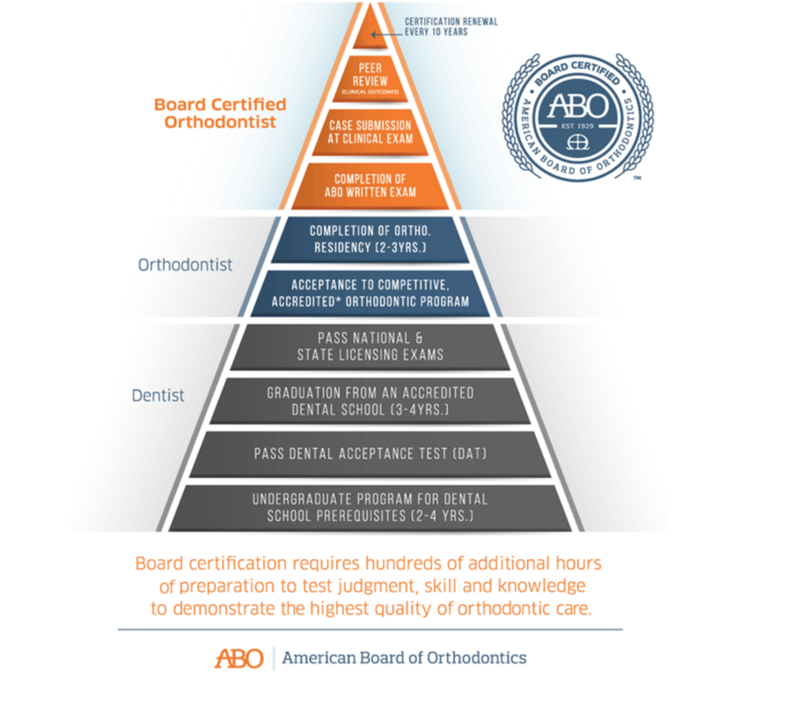 The American Board of Orthodontics is the orthodontic certifying board recognized by the ADA and sponsored by the AAO.